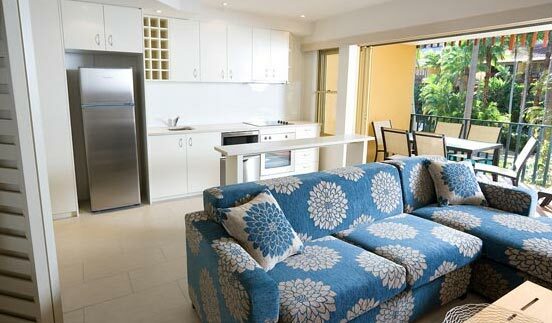 62 Hastings Street, Noosa Heads QLD 4567. 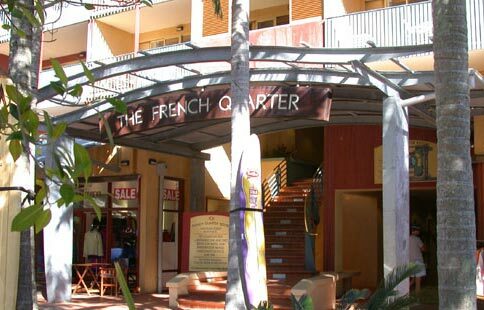 Located in one of the most prestigious holiday destinations in Australia, the 4 star French Quarter is the perfect place to enjoy the best of Noosa. Noosa's National Park is just a stroll from the doorstep as is Main Beach and the boardwalk that runs its entire length and connects with the pedestrian path that winds through Little Cove and into the expanse of the park. The French colonial façade of ochre washed walls and blue timber shutters creates a rustic charm to your holiday setting. 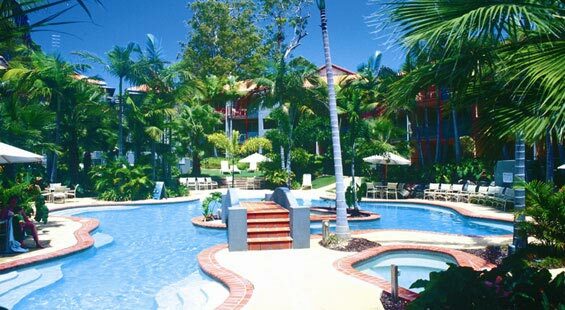 Meandering pathways lead you past swimming and wading pools, spas and bridges all of which are framed by beautiful gardens and shaded by palm and banana trees. 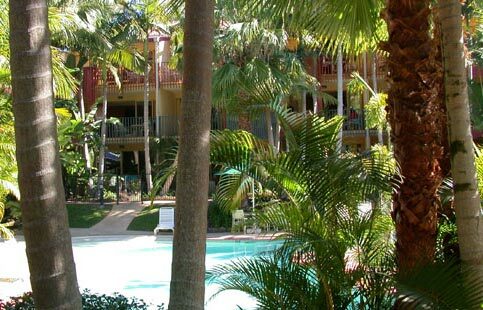 From your large balcony deck you can enjoy views of the resorts tropical gardens or sit back and enjoy the passing parade of holidaymakers along the sophisticated café society of Hastings Street. Available with one queen + one sofa. Superbly refurbished room available with one queen + one sofa. Available with one queen + two single beds. Superbly refurbished room available with one queen + two single beds.